Council member Carolyn Kassel was born and raised in the suburbs of Washington, DC and spent her 37 year career as an Executive Assistant for lawyers in Washington at four different law firms. At the end of her career in Washington she was supporting the firm's Managing Partner. She was involved in many high-profile cases over the years that made national attention. She graduated with an Associate’s Degree in Legal Secretarial Science from Northern Virginia Community College. She moved to the Low Country with her husband in 2011 and built their lifetime home at Hampton Pointe. They have four children and SIX grandchildren. 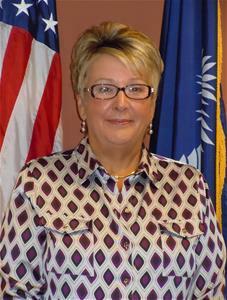 Carolyn retired in 2015 from Georgia Biomass in Savannah where she was the Executive Assistant to the CEO and Vice President of Operations. Since moving to the Low Country she immediately became involved with City government being appointed as a member of the City of Hardeeville Board of Zoning Appeals. In 2013 the City of Hardeeville Council, Jasper County Council and the Town of Ridgeland Council allowed her to make a presentation on Texting and Distracted Driving which resulted in each jurisdiction passing a Texting and Distracted Driving ordinance. South Carolina was only 1 of 3 states in the United States that did not have a Texting and Distracted Driving law. Jurisdictions were left to create and enforce their own ordinances. In 2014, the State of South Carolina legislature finally passed a state-wide law. She currently volunteers at Coastal Carolina Hospital in the Emergency Room one day a week and also at the Coastal Arts Center in Hilton Head.